Our shop has the latest diagnostic equipment and we take pride in maintaining high quality services at affordable prices. Whatever your auto repair or auto maintenance needs, look no further than D & S Autocare, get in touch with us today! At D & S Autocare, our ASE certified technicians have years of experience on handling any auto repair and maintenance service for your vehicle. When you’re looking for a dependable auto mechanic or auto repair shop, there are certain qualities that you just have to have – honesty, integrity, knowledge, experience, and ASE certified auto mechanics, D & S Autocare possesses all these qualities while conveniently serving the Lakewood, WA area since 1981. Masterful Lakewood auto repair begins with a masterful technician. Our Lakewood mechanics and technicians are highly trained. They love what they do. You can be guaranteed your car or truck will be worked on by some of the industries best. We don’t just work in Lakewood, we live there. The residents we help are our friends and neighbors. That’s why every employee at D & S Autocare treat every vehicle as if it were their own. At our Lakewood auto repair shop you’ll receive the best service and auto care. Providing you with stellar automotive repair isn’t our only goal though, we can help customize your vehicle as well. In addition to using the highest grade parts in our auto repair work, we’re also Lakewood’s local supplier of quality tires and rims. When you’re in the market for new tires in Lakewood, D & S Autocare has the best brands with the longest warranties. Our vast selection of rims ensures you’ll find something to give your vehicle that personal touch in Lakewood. We install everything for you. 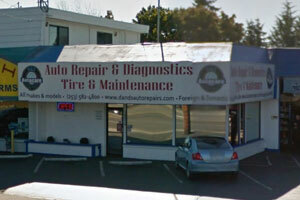 “As a customer of some 6+ years I've gotten a chance to know the mechanics and staff fairly well. They're young, experienced and usually know what they're doing. Sometimes their diagnostic computer- like all systems- have "blind spots" and only age and experience can save the day. Rule of thumb: If you replace the water pump, you change out the thermostat at the same time or vice versa because if one goes the other is close to going too. That's a little trick none of the boys had been taught in school, nor by experience. Needless to say they were surprised when I had both replaced- saved money on the hourly rate- and imagine their surprise when they discovered the pump shaft had broke. I'm old, arthritic, usually as mean as a bear with a sore tooth and have been known to use "colorful metaphors" to make my point. “I have known the Runkel family for many years when the first Autolube that they had was on Gravelly Lake Drive. They are very caring people, have great employees, a passion for helping others and their service is exceptional. Last Saturday in the pouring rain, my windshield wipers began to operate very slowly, to the point where it was difficult to see. I was able to get my car to Autolube at around 4:30 p.m.
Customers were waiting for their vehicles and all of the technicians were busy, but Kris, the Service Adviser, diagnosed the problem, ordered the part, pulled the old part off of my vehicle and put the new one on and I was on my way. “I had a great experience with this automotive shop. The employees were very professional and have experience it their job. They all work hard and will find the problem that you are having with your car. Your car will get fully inspected and make sure there are no other problems with the car,they let you know parts that are in need to be replaced. I left with my car feeling safe and I plan to come back when it is needed. I recommend this automotive shop to everyone that has car problems. “So impressed with this place. Had to jump my husbands SUV this morning and immediately took it to Autolube, which I picked based off of good online reviews. I'm a mechanics daughter, picky about where I take my vehicles and wanted to avoid big name companies and getting ripped off. The gentleman behind the counter was quick, polite and showed me the coffee, water and super comfy couches while I was waiting. I used their wifi with no problems for my 1-1.5 hour wait, which is pretty impressive since I dropped in without an appointment to get a battery charge, oil change, tail light replaced and a seal replaced. They checked with me before doing anything above what I came in for and the end price was extremely good, even before military discount! “I moved to Tacoma area recently from Anchorage, Alaska and needed a place to go when my car started having issues. The people at NAPA across the street suggested AutoLube Tire so I figured I would give it a chance. My battery was putting out way too much voltage so I hopped over to AutoLube right before they closed. Although they weren't able to fix it until the next day, they were able to tell me that my car should be fine to get me to work the next day, and that I should bring my car in ASAP. I brought in my car the next day and the servicemen replaced my alternator right away. They also spotted a cracked timing belt and called me with a very reasonable quote, which saved me a bunch of money in the long run! I wasn't charged for any extra labor either. “Have been taking both auto's here since I moved to Lakewood 3 years ago. HONEST & KNOWLEGABE PEOPLE!!! Took one car in last year to look at the brakes. "They have 40%...come back in the spring." Firestone wanted $178!!! (another story) to warrenty out and replace a 72 month battery that lasted 30 months........Auto Lube sold and installed a 72 month battery for $95. They installed an oil sensor unit on the other car that went south after a year(oil light on all the time) and they replaced it free...no labor charge either. Did a full brake job on my older Stratus....well done job and reasonable. D & S Autocare offers services to all makes and models, foreign and domestic!